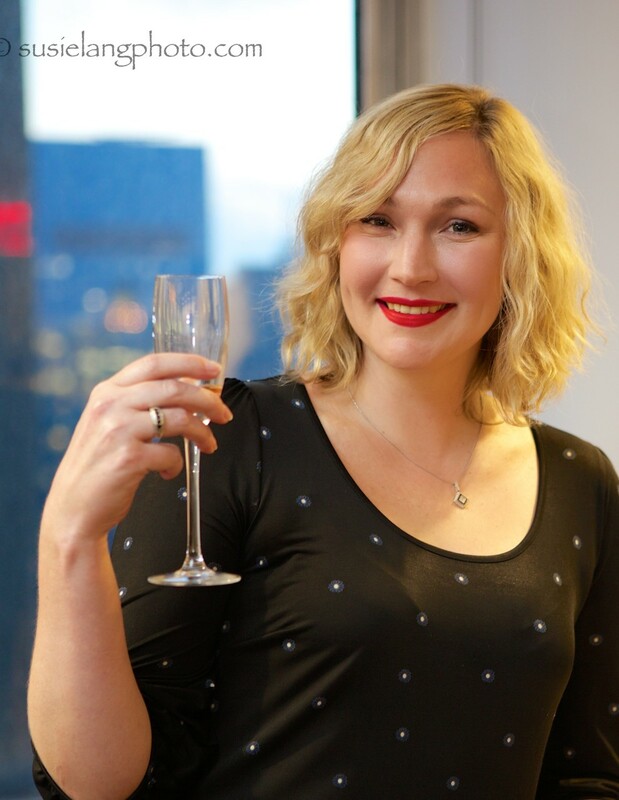 On Tuesday July 14th, the engaging and energetic Taya Sedgman, AWNY’s Charity Lead, hosted the event “BEAUTIFUL YOU.” The response to this event was huge and the noise level was a reflection of the joy, playfulness and fun make-up education during this wonderful experience. The make-up education was made possible by dynamic New York Fashion Week makeup artist Jacob Hyzer. 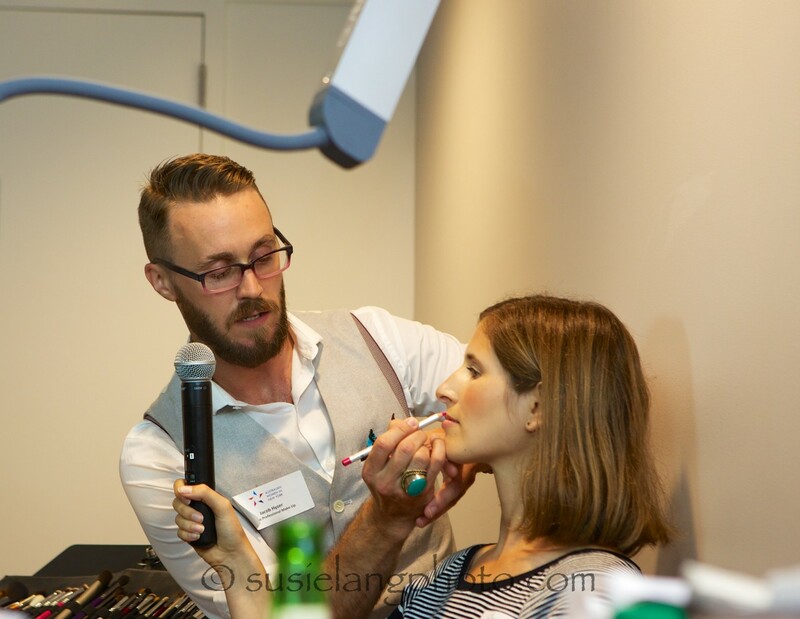 Jacob captivated the audience with his vast product knowledge, make-up experience and his great sense of humor. His team of 7 make-up artists worked make-over wonders on many AWNY members and friends and we all came away with a fresh, new look at ourselves. Jacob used products from Alcone Company, where he is the Creative Director. The event benefited AWNY’s chosen charity, Sanctuary for Families, an organization that empowers survivors of gender violence to move from fear and abuse to safety and stability. Emily Lo Bue, Director of Corporate and Volunteer Relations at Sanctuary for Families gave a touching presentation about the wonderful work they are doing and how volunteers can become involved. The evening was even more meaningful when we learned some of the make-up artist team themselves were survivors of domestic violence. Along with monies raised, there were many generous donations of business clothing and beauty products, all going to Sanctuary for Families. Jacob and the team at Alcone will donate $500 worth of make up to Sanctuary for Families. 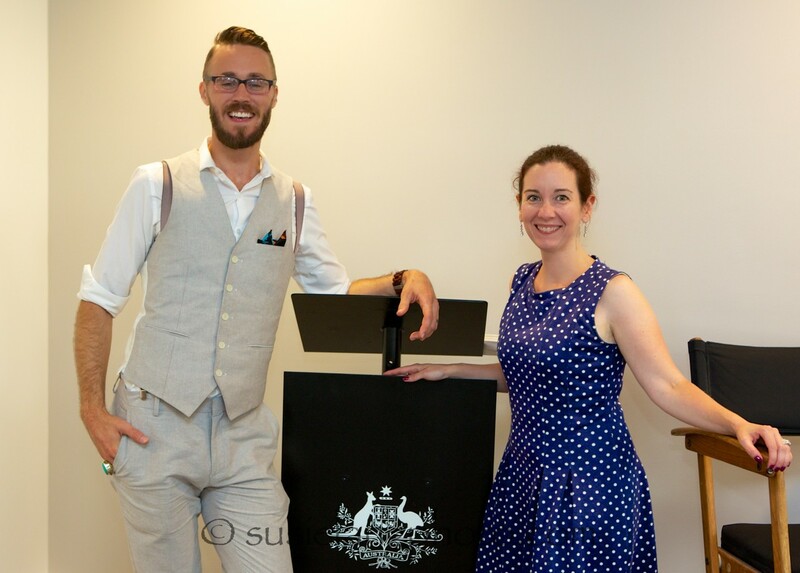 Feeling incredibly inspired from the event Jacob said “Tonight I had the honor of teaching a class at the Australian Consulate to an amazing and hilarious group of AWNY Women. It wouldn’t have been possible to create the magic tonight without each and every one of you.” Jacob is currently putting together Australian-themed make-up packs featuring the favorite shades of the event attendees. They will be offered at a super friendly rate including a gift with purchase. Keep your eyes peeled for these packs appearing on our Facebook page and Twitter in coming days. Also, check out the complete photo album of the evening on our Facebook page here.